New Fabric for Studio Interior Purchased! Ran into the Fairfax & Melrose flea market to grab some fabrics to test out in the studio. Picked up a traditional mud cloth, indigo cloth and another variation of mud cloth in white/black. Trying to bring this vision to life with white walls and panels of beautiful fabrics to bring color into the studio. Always love these style prints and I’m hoping seeing all three of them in the studio will look great together. Quick pick up from the Melrose Trading Post. Ran into the Fairfax & Melrose flea market to grab some fabrics to test out in the studio. 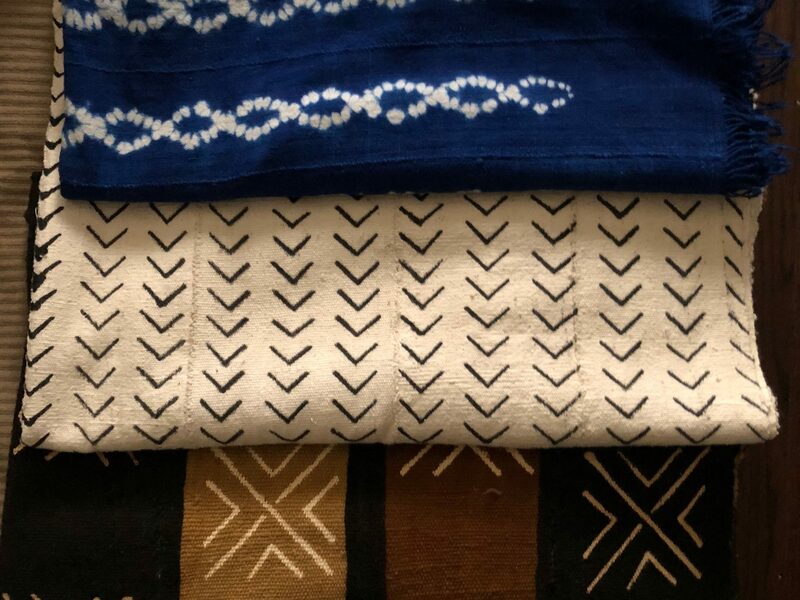 Picked up a traditional mud cloth, indigo cloth and another variation of mud cloth in white/black.